Free Parking on Evenings and Weekends! Park for free in the garage directly behind Cuoco. Entrance is on Harrison between Terry and Boren, weekday Evenings from 4pm-12am. Weekends 7am-12am. The South Lake Union Street Car stops directly across the street from Cuoco on Terry Avenue. Mix and Match our Cocktail Menu and our Antipasti menu for $8. 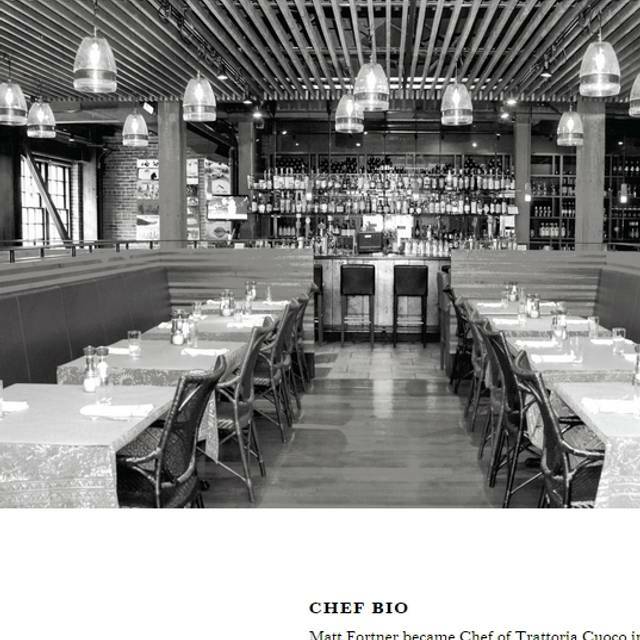 "Cuoco" is the Italian word for "cook," and the inspiration for showing off our chefs in an open kitchen. Watch Stan, our pasta man, hand making pasta every day. In addition to the featured fresh pastas, there are savory vegetables and other hearty entrees, created by our chef Ron Anderson. 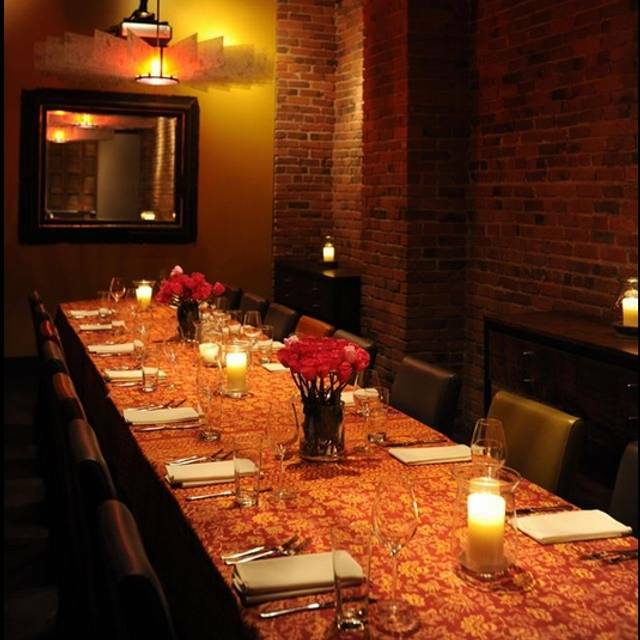 Semi private and private dining options are available to accommodate 12-24 guests. 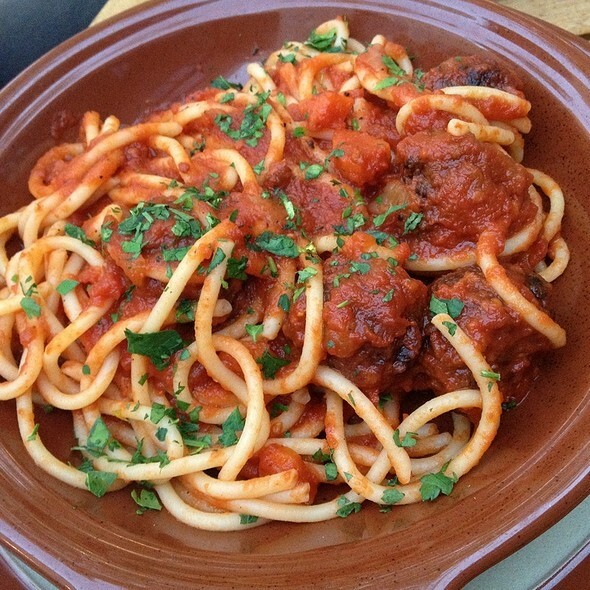 Enjoy all you can eat spaghetti and meatballs every Monday night at Cuoco. Stay Out of the realign 99 traffic and Stay In for some serious comfort! We made a reservation for seven and mentioned that we were celebrating a birthday so they sat us in a private room which was very nice! We loved the food, wine, atmosphere, and service. Our server went above and beyond by working with the kitchen staff to accommodate our "off-menu" request. The resulting dish was wonderful and was exactly what we were hoping for. The portions are small, and you'll pay more for them however, that's Seattle and ultimately, I found it to be an adequate amount for lunch. Perhaps some bread to supplement would help fight off any remaining hunger? Food was quite tasty, however prices were quite high, especially considering portion sizes. Would have been nice to at least include a little bread or something with the meal, goes especially well with pasta. Be aware, 20 percent tip is also included, which I think with the high prices is a little unreasonable. While our waiter was very attentive at the start, service certainly slowed down as the meal went on. Also, we were visiting from out of town, and there for our son's birthday, which would have been nice if they could have at least acknowledged. Overall a good meal, but not a place we would probably return to given cost and what it included. Great casual meal. Lovely setting. Can be intimate or laid back with a group of friends. Meal was wonderful. Portions were great. I had spaghetti and meatballs and an appetizer with apple and cheese. Everything was timed great and our server was very nice and had good recommendations. 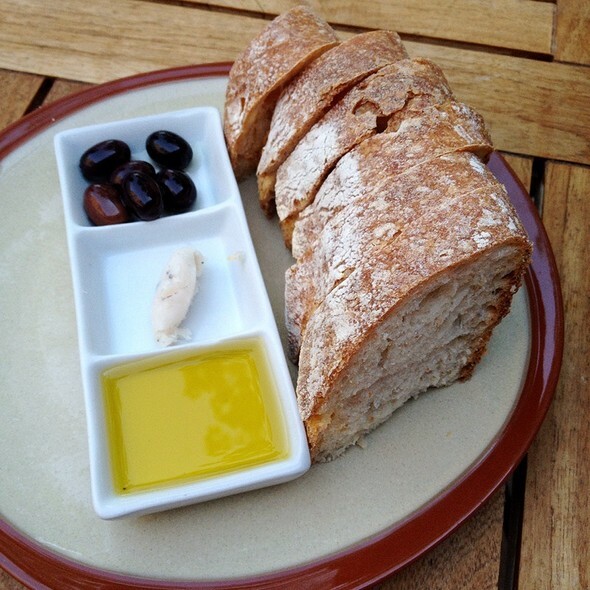 We enjoyed an office lunch at Cuoco. We sat at a table with plenty of room for our group of 5. The noise was minimal, the appetizers and food and service were very good. Romantic atmosphere, very friendly wait staff who let us take our time and enjoy every bite of food and every sip of drink as my girlfriend and I held hands and chatted throughout our meal. 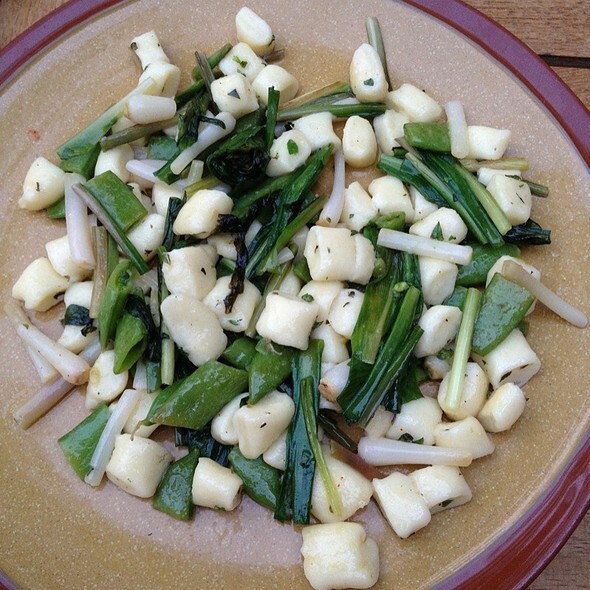 Food was bland- we had several different dishes and I tried each. I was really looking forward to some delicious Italian cuisine; sadly I was underwhelmed by the lack of flavor. Group all tried each other’s and consensus was no need to return for food. Service was basic. She did what’s expected. Filled water, took orders, delivered food. Checked in on us once in awhile but did not pay attention to group cues. For example: interrupted people in middle of conversations, didn’t make sure we had clean utensils, didn’t clear plates timely when finished, seemed to want to rush us to get our order in and we hadn’t even ordered drinks. She was not a bad server, just seemed under trained or lack of understanding how to work with a large group. Maybe she needed support as we were a large party... maybe too new? 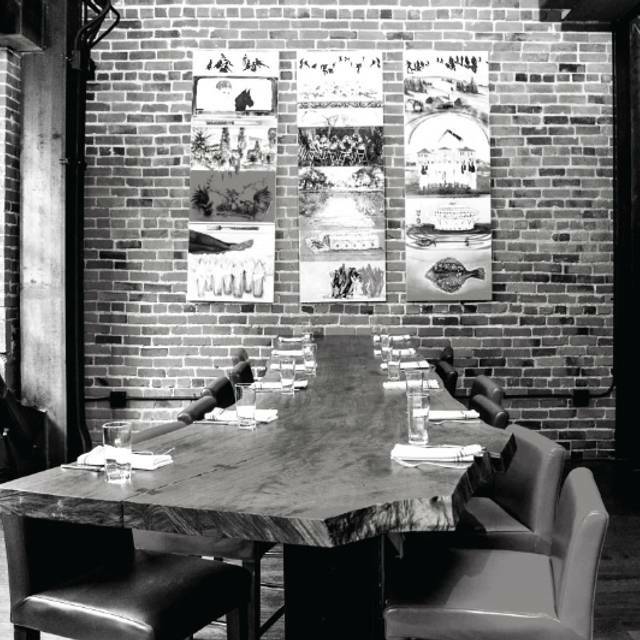 Cuoco is located in the booming SLU district. We found parking to be pretty easy on a Friday evening (6:30). The restaurant was pretty busy, but the noise level was very manageable. The food and drinks were excellent. We had the smoked salmon risotto, squid ink linguine with clams, Brussels sprouts and triple coconut cream pie (how could we not?). The server was awesome, and reminded us that the Tom Douglas restaurants include a service fee, so no tipping. We shared these off the happy hour menu, Rigatoni w/ spicy pork sausage ragu, Braised meatballs w/ marinara and provolone, Garlic bread, Porcini mushroom arancini w/ fontina fonduta. The Rigatoni was a bit too al dente for me, but the sauce was great. Meatballs were ok, sauce was the hero. Garlic bread was very good. Mushroom Arancini were a bit bland. Five of us met at the bar a bit earlier than our reservation and hardly greeted when we sat down. Questions about "whats on tap" were met with one word answers while bar tender was in constant motion. The place was maybe 25% full. Simply not friendly or very helpful for that matter. Loved that they were flexible about us staying at the bar and moving to the table when we are ready. Service at the table was better, but surprised that they ran out (on a small limited menu) of one of their signature dishes (lamb) when the place was probably 75% full at this point in the eve. Dishes were small and relatively expensive for the amount of food. Meatballs $12 served as 4 total and had a really odd taste to them. Did not enjoy. 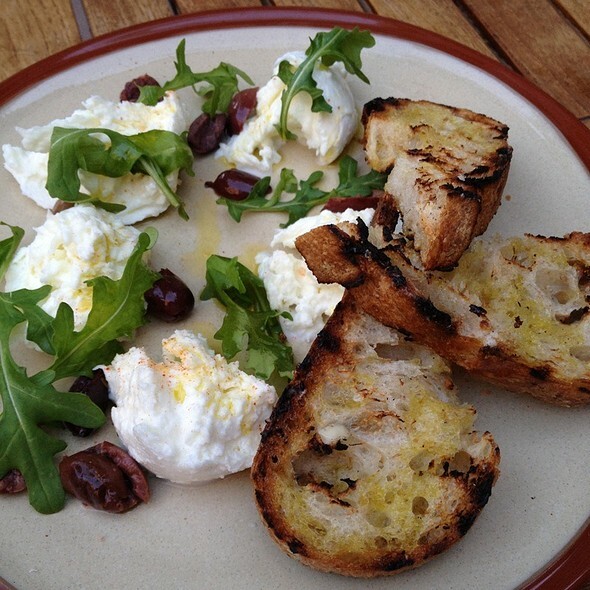 Burrata was disappointing - just mozz cheese, olive oil and 5 cherry tomatoes -boo...@$14 was also a disappointment. Octopus @ $18 however, was really good! Squid Ink lenguini was so so. pasta is fresh and good however. All in all over-priced, and hit or miss on the food, with so-so table service to poor bar service. There are better Tom Douglas restaurants by far. Our server was amazing and super helpful. Great food and a really great time. Food was terrific. The waiter starts off the evening with a 20% service free preamble that sets an awkward tone for the experience though...not necessary. Just put a sign on the door and in Open Table and that will suffice. Cuoco is always a wonderful experience. Absolutely delicious food and great service have made this one of my favorite restaurants. Don't accept a table is the first row adjacent to the host stand. Every time to door opens you'll be pummeled with cold wind. Food is always great here but our evening really suffered having to sit in the cold wind. Tonight was our first night visiting Seattle! We decided to check out this adorable, yummy, restaurant- we absolutely loved everything we tried on the menu— Definitely would recommend! We were there for Valentine’s Day and they had a special menu for the occasion. Everything was very nice: service, great food and nice place. We’ll come back for sure. We need to try the desert menu that was very recommended. Went here on Vale times day and was excited to try something new! The restaurant was lovely and had great vibes. My only complaint is that the pasta wasn’t cooked enough for my likings. It needed to be cooked for another minute or two, it was just to hard for my likings. The portions were always quite small for the amount you pay. But overall all, it was a decent place to get some Italian food. The Valentine's Day special menu was great, service was outstanding - a really nice date-night. I have found that most restaurants using the automatically added tipping system have stellar service. This was not the case. It wasn’t awful, but definitely could have been better. And ALL other restaurants I’ve been to don’t tax the tip. So, not only am I paying a 20% tip, but another 10% on top of that. The food was good. Not great. The wine was immensely overpriced. $20 for a single glass of wine? Dessert ok. There are much better Italian choices in Seattle. Will not return here again. Excellent service, the food was amazing & the ambiance was lovely! The aesthetic of the restaurant was amazing! I went with some of my friends and it was a fabulous experience. From the first moment we entered to the very last interaction, the staff made my husband and I feel so special. We were celebrating our wedding anniversary and everyone went out of their way to make us feel welcomed, congratulate us, and generously provide great great service. From champagne to start with and a delicious appetizer, to warm wishes at the end, I have never had a restaurant go this far to celebrate. Many thanks for making an important day even more special! We will be back! Loved the ambiance, great spot for a nice date. Parking nearby is super easy on a weekend night. 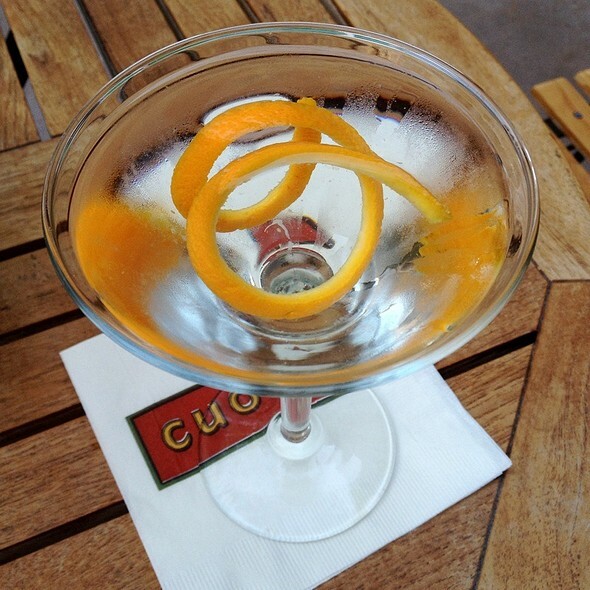 I have had such great experiences in the past at Cuoco with fabulous food and service. This time our server was not helpful or friendly, she was distracted and very slow and appeared annoyed to answer questions about menu. we had 3 vegans and I had called ahead to let restaurant know. Host said no problem at all, that many options available. Server was on a different page and seemed irritated. It cast a call over the evening. Food was good, bit bad service makes the whole experience not as lovely. Great service, delicious food, and nice ambience. My husband and I have been here multiple times over the last several years and still recommend it. This time we brought friends from out of town and they also enjoyed it. 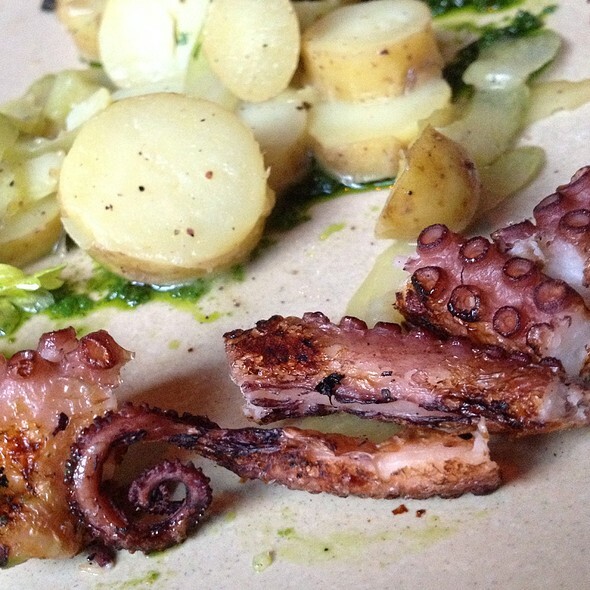 A truly fine dinner that paired beautifully with the wine we brought from our cellar. My steak was wonderful! We were very impressed, not simply due to it's affordability but the quality of the food was impeccable and the service was top notch. Probably the best customer service we've received in quite a while. We will definitely be back again! A thoroughly modest large place with a small menu. Pasta is fresh but there is only 5-6 version, so its limited and EXPENSIVE for what you get. Dinner menu may be different. Wine list really needs help. Variety is limited and all wines are overpriced. We enjoyed the all-you-can-eat spaghetti and meatballs on a Monday night. The food and drink were very good and the service superlative. Our group of five really enjoyed ourselves. My brother worked here a few years ago and in the last couple years every time I go the food isn’t as good as the last. I wouldn’t recommend this place and wouldn’t make the choice to go there. It’s a shame, it’s almost as if there has been a big shift of staff in the back of the house. Lasagna was amazing. 8/10 rating. More ricotta cheese and it might be a 10. Good service. Great food. I will certainly return. The 20 percent service charge was very aggressive. My family of four all enjoyed all of choices immensely. Our server was very attentive. We don't normally ask many questions or make many requests, but she asked a couple of probing quetsion, such as "Do you like your Cioppino spicy?" My husband likes it very spicy so she asked the kitchen to adjust. Hubby was delighted.